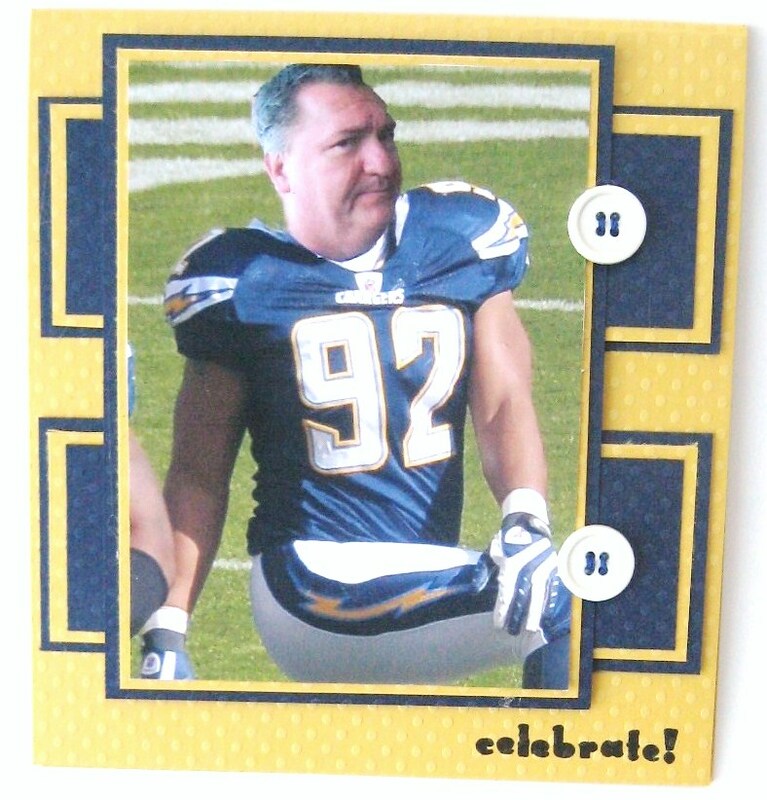 My father-in-law is a huge Chargers fan and I knew he was getting tickets to a game for his birthday, so I just had to make something football related. So, what did I do? I busted out my trusty ol’ Photoshop and got to work! 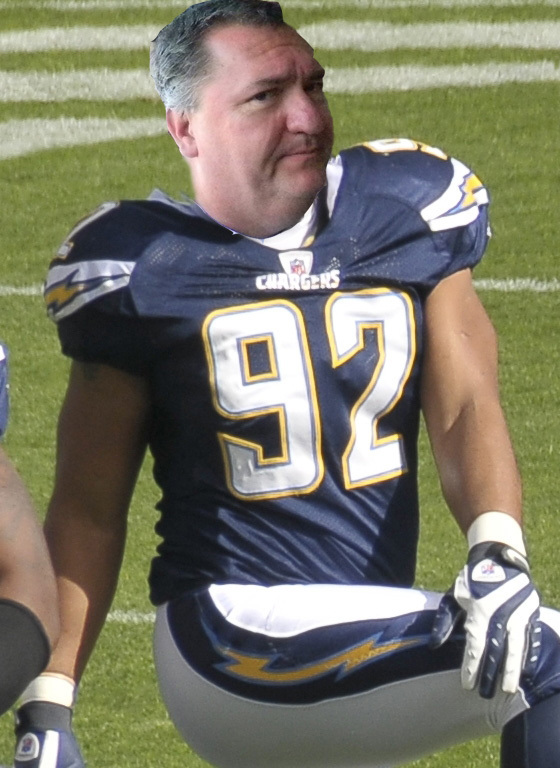 I found his profile picture from Facebook and then removed his head (wah, ha, ha ~ mad scientist laugh) and added it to this football picture I found in a google search. Love it! This picture makes me laugh every time!